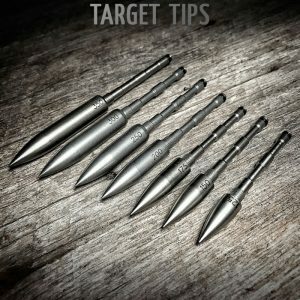 175, 200, 225, 250, 275, and 300. 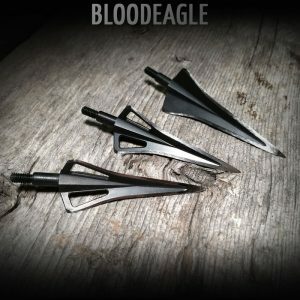 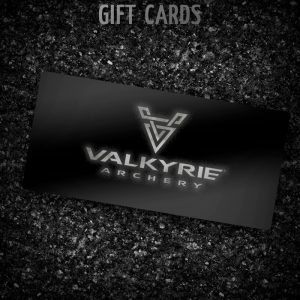 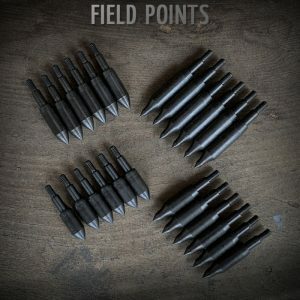 Like all heads in the Valkyrie armory,The Stumper Thumpers innovative design is accurate and deadly, and uses the same high quality tempered steels as our target tips and broadheads . 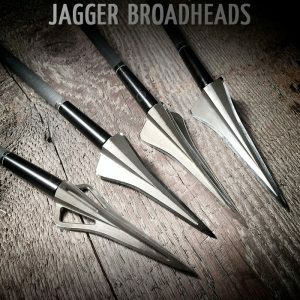 Not only can these heads deliver maximum punishment, they can also take it! 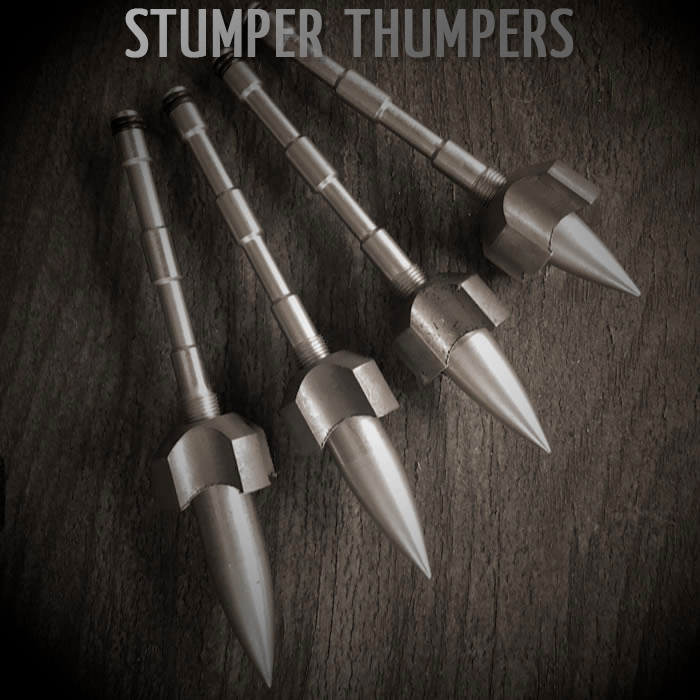 Small game, rotten logs and pine cones better beware, the Stumper Thumper is coming!